As their name suggests, multi zone air conditioning systems can be used in 2 or more rooms or "zones." TotalHomeSupply.com offers a large selection of multi split air conditioner systems from top names such as LG, Panasonic, and Daikin that are perfect for multi-zone use. Each system includes the outdoor unit and the number of indoor units you need — in some configurations, you can add up to 8 indoor units to cool your entire home. There are also multi zone mini split heat pump options that offer both air conditioning and heat. 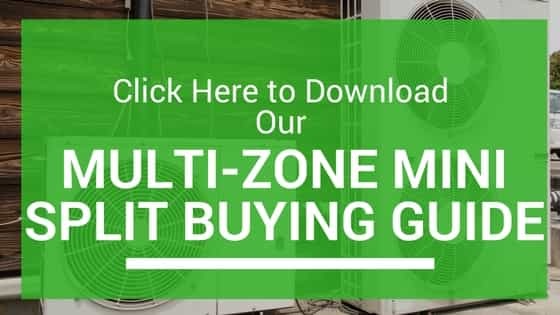 Browse our selection today to find a multi zone AC unit you can depend on.